There is a large number of women with straight hair who at least once envisioned those women with curly hair. I often hear sighs like “If I had hair like yours,” but did you ever get stuck together and how much time do they need to get those women with curly hair into a state worthy of envy? Yes, having curly hair is a real challenge and a painstaking daily routine. Not to mention the moment when you need to make a hairstyle for a solemn occasion. Hours and hours in preparation and a bunch of products on all sides, make the hair in the best possible order. What caiaue does to your hair? 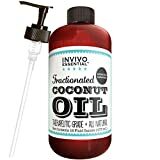 How coconut oil make magic with your curly hair? One of the many benefits that nature has given us is the palm trees, their fruits, and oils made from them. The man knows about the benefits of palm oil since 5000 years ago. Since then it has been widespread throughout the world, and its use has been used extensively. Except for eating, it is also used in cosmetics. The first ones who used palm oil in the soaps were Unilever, Sunlight soap and Palmolive. Caiaue oil is one of the best of all that I will put on this list, but just a few have heard about it and have even less used it, but those who have tried it know that they will never replace it with another oil or a similar product. The caiaue oil is a fruit product from the Elaeis oleifera palm tree, known as American oil palm. I highly recommend Caiaue in butter form, because it can be mixed with other oils and herbs that helps for curly hair. Because of the all herbs and oils that are fused together, it can be used for all hair types. Elaeis oleifera palm is the most widespread of South America-northern Brazil, Peru, Ecuador, Colombia, the Guyanas; Central America – Panama to Honduras. Due to the rich content of Vitamins B-complex helps in the synthesis of enzymes, improves the function of the nervous system and regulates metabolism. It also contains high concentrations of vitamins E and C. These vitamins deeply soften, moisturizes and regenerates the scalp skin that has been damaged by sun or dry weather. Argan oil is produced from the kernels of the argan tree, which we can only find in Morocco. The fruit of argan tree is circular and small, in the form of a nut. The process of producing argan oil is not so simple, that is, there must be extraction that is crucial in the whole process. In Morocco, where they produce the most natural oil, they use the goat’s poop, which they previously ate from the fruits of the tree. This shortens the extraction time. The nut itself contains one to three Argentine oil-rich carnelians. Depending on the extraction method, kernel oil can reach 30% to 50% oil. Argan oil is rich with vitamins and minerals that love your hair (although it’s dry and damaged). Some of the main natural phenols in argan oil are caffeic acid, oleuropein, vanillic acid, tyrosol, catechol, and resorcinol. You can find more information about argan oil here. Coconut oil is the most widespread in the world and is perhaps the best-known oil that has excellent benefits for both skin and hair. It is also used for cooking and is good for the content of healthy fats. Coconut oil comes from fruit extraction from the coconut tree (Cocos nucifera). It can be produced by wet and also dry extraction. The most important thing is to know how to use coconut oil. Very often women make a mistake with applying the hair so they will not get the desired results, but rather the opposite. Use less amount of application and always avoid scalp. These are the most common mistakes made when applying coconut oil to the hair. Undoubtedly many of you have not heard of moringa oil and its benefits. The oil is a product of the Moringa tree, i.e., from the seeds of the tree, which is commonly found in India, Thailand, and Indonesia can grow in Central America and the Caribbean. The largest producer of moringa oil is India. Moringa oil is used to treat many diseases such as anemia, asthma, high blood pressure, and many other diseases. Except for skin, moringa oil is used and is very useful for the hair, especially for curly dry hair and scalp. As mentioned earlier, Moringa oil is excellent for those with dry hair and scalp. The interesting part for this oil is that the hair and skin drink for a second. 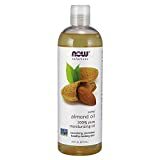 Almond oil is a product obtained by treating the fruit of the tree mostly found in the Mediterranean and the Middle East, but with the dissemination can also be located in California. The oil is obtained by extraction of the kernels (nuts). Almond is a relatively rich source of oil. Almond oil contains monounsaturated oleic acid (Omega 9 fatty acid), linoleic acid and saturated fatty acid. It is full of Vitamins such as Vitamin A, E, D and B complex. Almond oil is used to aid in the treatment of certain diseases and conditions, but most have found it in cosmetics, as well as in the maintenance of beauty and health of the skin. Bitter almond oil – It’s not recommended to use it for hair or skin because it does not have any benefits, only good that there is the smell. Bitter almond oil is an essential oil, but without effect, like other essential oils that have the effect of relaxation. As I mentioned, the only benefit this oil has is a beautiful smell. Sweet almond oil is what is recommended for use. You can find more information about almond oil here. Do not make mistakes with combing: use a wide-toothed comb instead of a brush. Always start to comb your hair from the bottom up, and be gentle because the curly hair is more sensitive than the other types of hair. There are many products for curly hair, you can find in any store or online. But beware of the products, read which chemical composition it contains, how many ingredients are on a natural base and whether there is any natural composition in them, and always avoid Parabens, Sulfates, and Silicones. To look beautiful and healthy, we must treat it appropriately, that is, with appropriate products. In addition to shampoos and regenerators, it must be additionally maintained with oils or hair wax. I always recommend using natural/organic cosmetics, whether it’s a face skin, a body skin or hair. Nature has given us so many products, and we are not even aware of it. Last advice: Be careful with oil dosing! It doesn’t mean that if you put more butter or oil that your hair will be more beautiful or healthier. PreviousPrevious post:12 Great Essential Oils for Fertility (Women and Men)NextNext post:What are the Best Essential Oils for Dementia?